Other characters returning in Episode 5? So I have been thinking about the possibility of maybe seeing Lily, or Christa return. 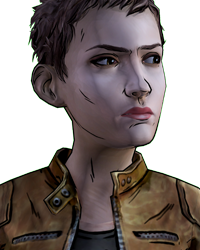 I think now it would be a good time to introduce Christa again so clem can give her the baby. But what do you guys think, do you think they will save that return for Season 3? Well, Lilly's rv was in the trailer park so she could well return. Christa possiblye though I think anyone is a long shot at this point. I mean running into Kenny was coincidence enough. Maybe at wellington since that is where everyone is heading. 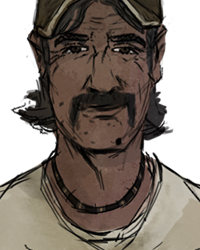 would love lily to return and too see her and kenny see each other again would be interesting oh and WHERE THE HELL IS CHRISTA!!!? Well.. 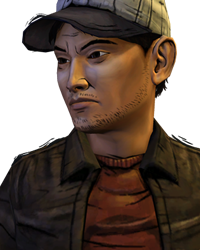 If he does show up in episode 5 ill be giving him the sassy Clem treatment.. thats for sure.. I don't think he was ever confirmed dead just "lost" In shels part of 400 days. Well Joyce said they "lost" Brie and Vernon. It could be very possible to see several missing characters at Wellington, that's where almost everyone is heading after all. 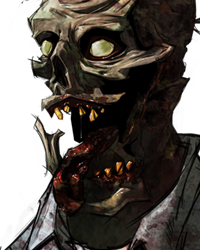 Christa will appear, could be alive, or a walker, but she has to appear. Add Nate to that list. 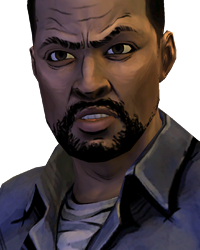 ..
Why would I want Lilly to return?Clementine was more connected with christa..Finding Christa would be something awesome..Finding Lilly...pfft..I wouldn't care.Plus,Kenny wouldn't like seeing Lilly again.. There's not a single achievement that even hints meeting another person.